One of the strengths of Burgundy is the variety of paths that have led so many to their apotheoses as winemakers. The conventional assumption is that Burgundian winemakers descend from soldier/farmers who fought alongside Vercingetorix against the Romans, men who were born with argilo-calcaire under their fingernails, and Pinot Noir in their DNA. This stereotypical winemaker learned in the fields and cuverie alongside his father and grandfather, and absorbed the accumulated wisdom of generations of vignerons by the age of 10, when he produced his first vintage. 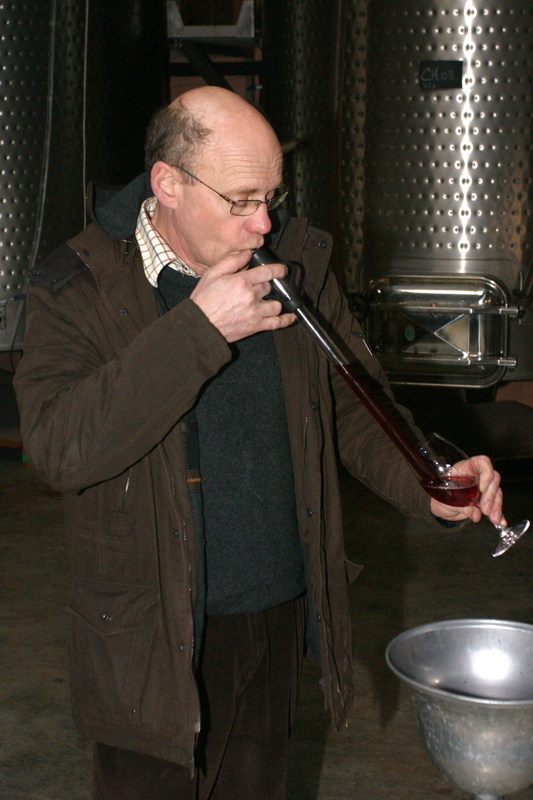 Frédéric (“Fréd”) Mugnier easily makes every critic’s shortlist of the most respected and influential winemakers in Burgundy and yet his background diverges widely from the stereotype. He was born in 1955 in Geneva, to which his parents had briefly relocated from French Indochina shortly after the fall of Dien Bien Phu. His father, trained as a lawyer, pursued a career as a merchant banker in Paris, his mother’s birthplace, where young Fréd grew up when he was not in Alsace. He took a degree in Petroleum Engineering and specialized in off-shore oil projects from the North Sea to Africa. Fréd’s paternal forbearer and namesake Frédéric had been a successful distiller in Dijon in the middle of the 19th century, profiting greatly from the boom in Absinthe. One of the iconic absinthe posters of that era, the Zouave by Lucien Lefevre, promoted Mugnier Absinthe. The business prospered and Frédéric acquired the Château de Chambolle-Musigny in 1863 from the Marey-Mange family, along with a few hectares of vineyards. The family added the Clos de la Marechale in 1902. The Domaine was managed for a period by Maison Faiveley and later by Bernard Clair, the cask wine being sold off in barrel to negoces. Although Fréd’s father occasionally visited the Château, especially after his retraite in 1977, he remained very removed from the winemaking and the vineyards. Although Fréd’s father had died in 1980, it was not until 1984, at the age of almost thirty, that Fréd Mugnier heeded the Sirens of the vineyards whilst on a sabbatical. Enrolling at the Lycée Viticole, Fréd was soon a confirmed addict, completely enchanted by a passion for Pinot Noir. In the twenty-five years since taking the helm as a relative novice, Frédy Mugnier has emerged as one of the dominant influences in Burgundy, producing some of the most elegant and compelling examples of Pinot Noir. Domaine J-F. Mugnier, from its base at the Château de Chambolle-Musigny, produces two Grands Crus, Bonnes Mares (.36 ha) and Musigny (1.13 ha); two Premiers Crus, Chambolle-Musigny, Les Amoureuses (.53 ha), Chambolle-Musigny, Les Fuées (.73 ha) and a village Chambolle-Musigny (1.3 ha) that is comprised of three climats, two of which are actually Premiers Crus. Beginning with the 2004 vintage, the famed Monopole Premier Cru Nuits-St-Georges, Clos de la Maréchale (9.55 ha), reverted to Mugnier control (long under contract to Maison Faiveley). As result, the Domaine now consists of 13.79 ha of some of the best vineyards in the Côte d’Or. Mugnier is a confirmed noninterventionist, preferring to allow the vintage and the vines to express themselves. He avoids the use of herbicides and insecticides, preferring the risk of infestation to the untoward consequences of toxic chemicals. 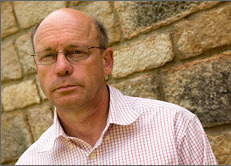 A key to his wines, Mugnier believes, is low yields. Overall, he rarely exceeds 32 hl/ha in his vineyards. He eschews fertilizers, regarding their absence as a simple and natural way to control yields. The best way, he contends, to keep production low is the selection of clones and rootstocks that are not naturally prolific. He does not conform, however, to the widespread practice of close-pruning as an adjunct to controlling yields. Fréd believes that short-pruning over-stimulates the vines to produce too much unnecessary foliage. He also opposes vendange vert (green harvest), the shedding of bunches in June, claiming that this practice only covers up earlier mistakes. Instead, he practices envasivage, removal of double buds, in May. Severe triage is Mugnier’s final weapon against elevated yields. Both in the vineyards and in the cuverie, his instruction is adamant: only perfect fruit is allowed to pass. Interestingly, Mugnier also rigorously selects the stalks that he adds to the fruit. He contends that ripeness of individual stems is essential, and even goes so far as to suggest that better and riper stems come from certain vines. Depending on the vintage, up to 40% of stalks are selected for inclusion in fermentation. There is generally a pre-fermentation cold maceration lasting for between three and five days. After that, fermentation starts naturally, without cultured yeasts and with only the natural yeasts on the fruit. Fermentation, which occurs in open 65 hectolitre vats, covered only with a layer of inert gas, is permitted to reach high temperature (32°-33° C.) before heat exchangers kick in to lower the temperatures. There is frequent pigéage, often up to five times daily, during a cuvaison that lasts 14-23 days. The wine is then racked into barrels to undergo malolactic fermentation. Press wine is kept segregated and only added, if at all, at an assemblage just before bottling. Mugnier uses only 25-30% new Allier barrels with a very light brûlage (toast). To preserve freshness, Mugnier racks as little as possible. Elévage typically lasts about 18 months and is followed by light fining with egg whites but little, if any, filtration. Hi,Excellent blogging dude! i am just Tired of using RSS feeds and do you use twitter?so i can follow you there:D.
Hey, thanks for taking the effort for this great feedback. Actually, I would like to do both of these things, which are high on my list. The twitter is easier, of course, and I’ll let you know as soon as I’ve done this. The video is a project I have to begin on my next trip to france in the Fall. I really appreciate your comments and your support!